The EuroLeague and FIBA calendars overlapped in the last week of November but seven players managed to overcome the obstacle and help both their club and the national team. 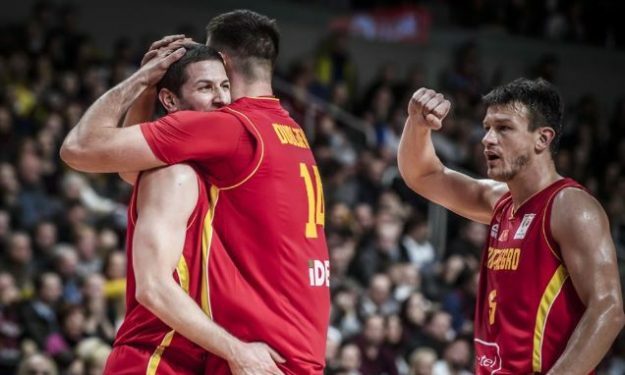 Due to disharmony of the calendars, the EuroLeague Round 10 and FIBA World Cup Qualifiers overlapped completely as all of the games in both competitions were played out on November 29 and 30. The clubs were forced to make tough decisions as well as the players, and only a handful of them managed to spend minutes on the floor for both their club and the national team. To be more precise, seven of them with two clubs standing out – Buducnost and Maccabi – as their rosters featured three players each while one came from Anadolu Efes. The list includes the following players. Without a doubt, there was careful control over the players’ playing time as their minutes decreased drastically in some cases. UPDATE: Also on Sunday and Monday games the following EuroLeague players played for their national team. In total 25 EuroLeague players competed for their national teams in Europe during the last FIBA qualifiers window. Of course, it goes without saying that many chose not to overexert themselves by playing on both fronts and decided not to join their respective national teams. The November ‘window’ has been the prime example of the players’ wish to satisfy both their clubs and their national teams, even by playing back-to-back games in different competitions.